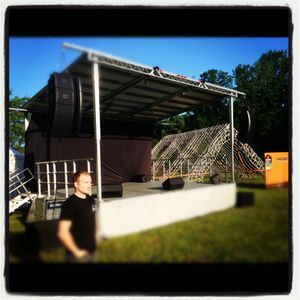 Over Memorial Day Weekend, TSV got on the road! 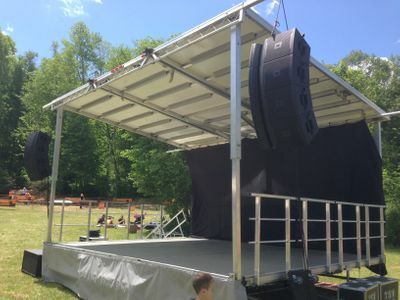 Collin and Andy hit the old dusty trail to embark on an epic adventure to Pittsburgh, Pennsylvania; to provide staging and a sound system for an outdoor festival that is touring throughout the country this summer. 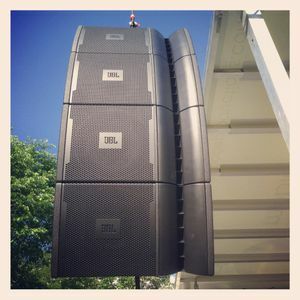 Once there, the two of them set up a beautiful Stageline SL50 mobile stage, complete with our JBL VRX line array rig. Take a look at some of these pics of their great work! 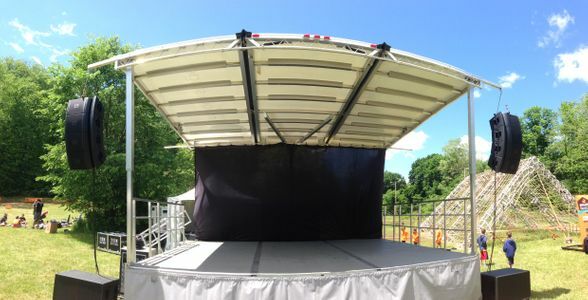 Check out these shots of staging and sound system, courtesy of TSV.